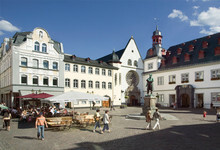 Discover the city of Koblenz on a tour through the old town. 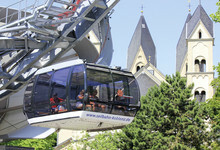 No visit to Koblenz would be complete without taking a breathtaking cable car ride above the Rhine to the Ehrenbreitstein Fortress. 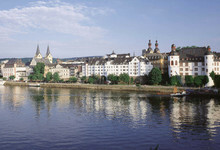 At 118 metres above the Rhine, the fortress has the most fantastic views over Koblenz and the confluence of the Rhine and Moselle rivers.